Doble’s EMI Surveyor is a non-invasive, in-service survey solution that can identify more than 65 different electrical and mechanical defects in generators, motors, bus duct and other high-voltage (HV) electrical plant equipment. The EMI Surveyor measures the release of electromagnetic (EMI) energy resulting from HV electrical insulation-related partial discharge defects, corona, random noise, as well as LV/HV mechanical conductor-related arcing defects and sparking. 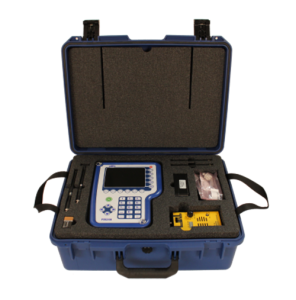 The EMI Surveyor includes all the accessories needed for a comprehensive EMI assessment: PDS200 spectrum analyzer, EMI sniffer, split-core high-frequency current transformer, wireless synchronization adapter and all required antennae and cables.